After easily trouncing U.S. stocks in 2017, emerging markets equities and exchange-traded funds (ETFs) are looking for more of the same this year. While 2018 is still in its early stages, the widely followed MSCI Emerging Markets Index is outpacing the S&P 500 by a better than 2-to-1 margin to start the year. The MSCI Emerging Markets Index has a trailing 12-month dividend yield of just 1.74%, but that does not diminish the dividend allure of developing economies. In fact emerging markets notched impressive dividend growth in 2017 and more of the same is expected this year. Last year, “Asia Pacific region posted the strongest headline growth rate of 18.8 percent to 139.9 billion, followed by Emerging Markets, up 16.5 percent to $102.4 billion, while dividends in North America grew 6.9 percent to a record of $475.6 billion,” reports Reuters. The following emerging markets ETFs can help investors boost yield, increase current income and potentially reduce volatility when it comes to their portfolios’ emerging markets exposure. 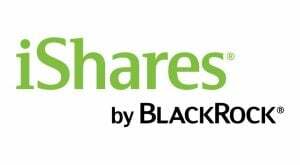 The iShares Emerging Markets Dividend ETF (NYSEARCA:DVYE) is a yield play, as evidenced by a trailing-12-month dividend yield of 4.5%, well in excess of traditional developed and emerging markets equity benchmarks. DVYE holds 99 stocks and tracks the Dow Jones Emerging Markets Select Dividend Index. That index “aims to measure the stock performance of 100 leading dividend-paying emerging-market companies, selected by dividend yield subject to screening and buffering criteria,” according to S&P Dow Jones Indices. DVYE features exposure to approximately 15 countries, but this emerging markets ETF is geographically concentrated, with Taiwan representing nearly a quarter of its weight. That is alright because Taiwan is one of the steadiest dividend destinations in the developing world. Taiwan was one of 11 countries that posted record dividend growth last year. The WisdomTree Emerging Markets High Dividend Fund (NYSEARCA:DEM) is one of the oldest (nearly 11 years old) and largest (over $2.2 billion in assets under management) emerging markets dividend ETFs. Like the aforementioned DVEY, DEM’s components are weighted by dividend yield. DEM’s underlying index, the WisdomTree Emerging Markets High Dividend Index, sports a tempting dividend yield of 4.75%. Over 41% of DEM’s combined geographic weight is allocated to Taiwan and China, which makes sense given the dividend reputations of those markets. This emerging markets dividend ETF is also known for its hefty, relative to standard indexes, allocation to Russian stocks. DEM devotes about 14% of its weight to Russia, which is one of the higher-yielding developing economies. Although DEM is overweight Russia and features significant commodities sector exposure, the fund has been significantly less volatile than the MSCI Emerging Markets Index since inception in mid-2007. Plus, the WisdomTree fund has topped the MSCI benchmark by 910 basis points over that time. The Global X MSCI SuperDividend Emerging Markets ETF (NYSEARCA:SDEM) is most definitely a yield play as a trailing 12-month dividend yield of 4.90% attests to. This emerging markets dividend fund follows the MSCI Emerging Markets Top 50 Dividend Index, which is a collection of the 50 highest-yielding developing world stocks. With SDEM’s comparatively small lineup, the risks of geographic and sector concentration exist. Three sectors — financial services, materials and real estate — combine for over 61% of the fund’s weight. Just two countries — South Africa and Russia — combine for over 37% of SDEM’s geographic exposure. The average market value of SDEM’s components is just over $10.2 billion, giving the fund something of a mid-cap feel. Plus, this ETF trades at significant discounts to the valuation metrics on the MSCI Emerging Markets Index. SDEM also pays a monthly dividend, a trait not often found on international dividend ETFs. 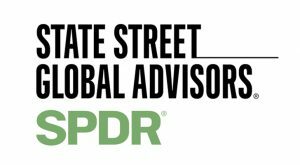 The SPDR S&P Emerging Markets Dividend ETF (NYSEARCA:EDIV) follows the S&P Emerging Markets Dividend Opportunities Index, which is a yield-weighted index that also features sustainability and earnings growth screens. EDIV also features some other notable screens. “For potential diversification, no single country or GICS sector can be greater than 25%, and no stock weight can be greater than 3% in the Index,” according to the issuer. Although this emerging markets ETF is a yield play as well, its dividend yield of 2.77% is low relative to the other funds highlighted above, indicating that EDIV’s screening is process is perhaps effective in weeding financially strained high-yield companies. Another sign of that could be the ETF’s nearly 14% weight to technology stocks, which is high compared to the other fund’s mentioned here. South Africa, Taiwan and Thailand combine for nearly two-thirds of EDIV’s geographic exposure. The ALPS Emerging Sector Dividend Dogs ETF (NYSEARCA:EDOG) extends the dogs of the Dow theory to the sector level and to emerging markets stocks. EDOG’s components are the five highest-yielding stocks in each of the 10 Global Industry Classification Standard (GICS) when the fund rebalances at the end of each November. The ETF further mitigates sector, single-security and geographic risk by capping sector weights at 10%, geographic weights at 10% and single stock allocations at 2%. At the end of 2017, six countries — China, Thailand, Brazil, Turkey, Russia and South Africa — had weights in EDOG ranging from just over 9% to about 11.5%. EDOG yields 3.64% and is up more than 3% to start 2018. While most of the funds highlighted to this point emphasize yield, the ProShares MSCI Emerging Markets Dividend Growers ETF (BATS:EMDV) takes a different approach by focusing on dividend growth. EMDV’s underlying index, the MSCI Emerging Markets Dividend Masters Index, requires member firms to have dividend increase streaks of at least seven years. As is the case with other regions, emerging markets dividend growers typically outperform their non-dividend growth rivals with less volatility, a trait that bodes well for EMDV’s long-term viability. The dividend growth requirement can mean a smaller lineup, which is the case with EMDV and its 71 holdings. This emerging markets dividend ETF has a large weight to financial services stocks (32.13%), but also features significant exposure to quality sectors such as consumer staples, technology and industrials. Those three groups combine for over 35% of EMDV’s roster. Investors often forget about the rising dividend case for domestic small-caps, let alone smaller emerging markets companies, but the WisdomTree Emerging Markets SmallCap Dividend Fund (NYSEARCA:DGS) reminds income investors that income can be generated with small-caps, even in developing economies. Actually, 37.6% of stocks in the index DGS follows are classified as mid-caps, helping damp some of the volatility associated with smaller companies. Speaking of volatility, over long holding periods, DGS has frequently been less volatile than U.S. small-cap benchmarks, such as the Russell 2000, indicating dividends are a fine way of enduring market gyrations. Adding to the case for DGS is that this emerging markets dividend ETF frequently trades at steep valuation discounts relative to the Russell 2000 with a significantly higher dividend yield. These days, DGS yields more than three times the Russell 2000. The WisdomTree fund devotes a combined 46.5% of its weight to the technology, consumer discretionary and industrial sectors. As of this writing, Todd Shriber owned shares of DEM. Article printed from InvestorPlace Media, https://investorplace.com/2018/02/7-etfs-for-growing-emerging-markets-income-dvye-dem-sdem-ediv-edog-emdv-dgs/.